TORONTO, ON – A new brewing project focused on non-alcoholic craft beer has launched a crowdfunding campaign that has surpassed its fundraising goal in record time. 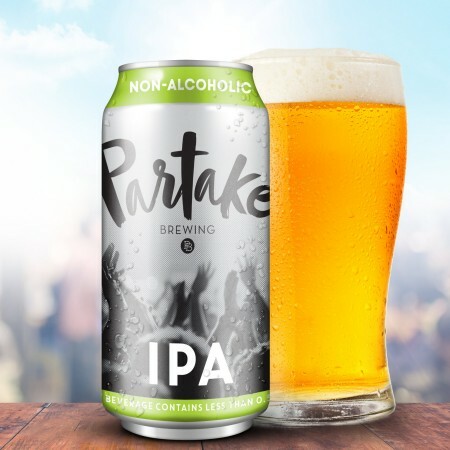 Partake Brewing is being founded by Ted Fleming, owner of the online non-alcoholic beer retailer Premium Near Beer. Fleming gave up drinking alcohol five years ago when he was diagnosed with Crohn’s disease, and has been an advocate for good quality alcohol-free beer since 2013 through his online shop. He now hopes to offer an even better product via his own brewing company. Fleming is planning on entering the market with Partake Non-Alcoholic IPA, made with Cascade, Amarillo and Citra hops and six malt varieties, and having only 10 calories, 2g of carbohydrate and 0g of fat per 355 ml can. According to the Kickstarter campaign for the project – which hit its $10,000 goal in less than three hours after yesterday’s launch – the beer will be brewed under contact, with an aim to have the first batch brewed in June for a July release. For more details, see the Partake Brewing Kickstarter page and Twitter feed.